In past years, stimulants were prescribed in the treatment of asthma, obesity, and other neurological conditions. As the statistics of abuse and addiction to these types of drugs increased, they were prescribed less and less by physicians. But now stimulant dependency is once again on the rise. Stimulants or amphetamines such as dextroamphetamine (which is one of the active ingredients in Adderall and Adderall XR) and methylphenidate (Ritalin) are being prescribed to treat narcolepsy and ADHD. Adderall is a controlled substance and should therefore be bought or taken only with a prescription. 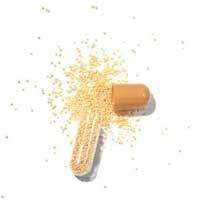 But unfortunately, this is not the case as Adderall and other medications can easily be obtained for other kids. As a stimulant, Adderall is labeled as a Schedule II Drug under the Controlled Substance Act and is deemed to have a high potential for addiction. Abuse of this drug increasing at an alarmingly fast pace, targeting both the young and old alike. Misusing or abusing Adderall can cause a range of problems from mild to severe to life threatening. As it targets the brain, it causes several neurological and psychotic behavioral changes such as aggression, anxiety and a heightened sense of paranoia and in its severity may lead to an aroused state of paranoia, even suicidal tendencies, schizophrenia and serious cases of psychosis. At varying stages of dependency, some users may even experience immediate weight loss. In more serious cases of addiction, it can lead to a dangerous increase in heart rate, body temperature and blood pressure. Another downside of long term dependency is that its harsh effects can still persist long after you have been rehabilitated. Adderall is prescribed for a reason, it should only be taken when advised by a physician and should be properly administered. Taking medications like these without prescription can do far more harm than good.